E-8C Joint STARS (JSTARS) pilots assigned to the 16th Airborne Command and Control Squadron at Robins Air Force Base, Ga., prepare to take off Jan. 24, 2019, at Nellis Air Force Base, Nev. JSTARS, Joint Surveillance Target Attack Radar System, is a battle management and command and control aircraft capable of airborne ground surveillance. The JSTARS surveillance system is constructed to locate, classify and track ground targets, making it a critical component in Green Flag exercises. 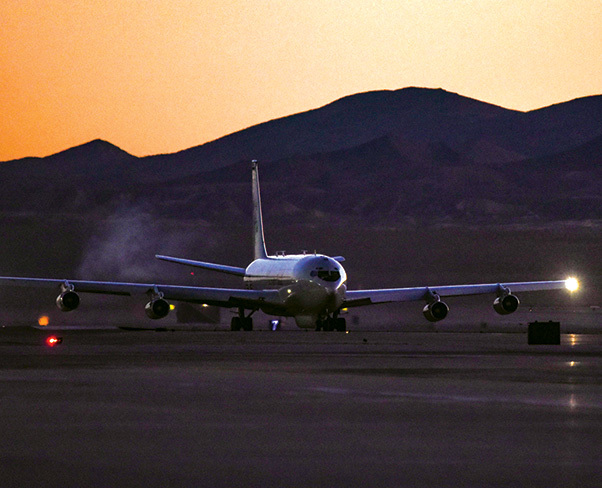 An E-8C Joint STARS (JSTARS) assigned to Robins Air Force Base, Ga., prepares to take off Jan. 24, 2019, at Nellis Air Force Base, Nev. JSTARS, Joint Surveillance Target Attack Radar System, participated in several Green Flag exercises. JSTARS, Joint Surveillance Target Attack Radar System, is a battle management and command and control aircraft capable of airborne ground surveillance. 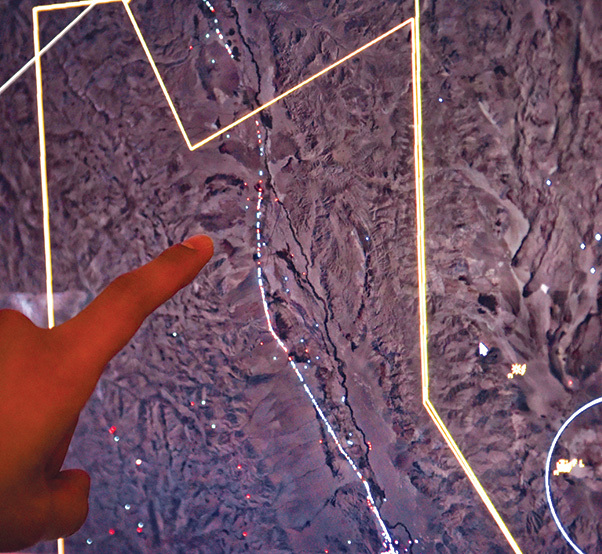 Throughout the exercise, JSTARS use their radar system to gather intelligence for Air Force command centers and Army mobile ground stations through secure data links. “We’re here to detect moving ground vehicles and report possible enemy movements to enhance the ground forces’ ability to plan attack operations,” said Easdale. The integration between JSTARS and ground forces in Green Flag allows both sides to gain the experience needed to be confident under pressure in real wartime situations. 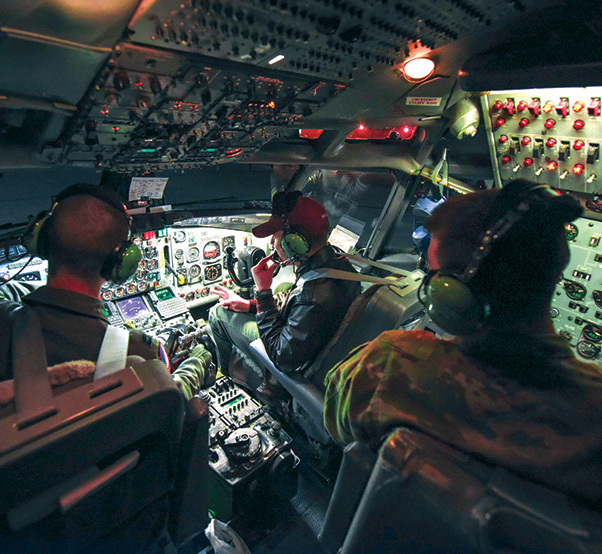 An airborne operations technician assigned to the 16th Airborne Command and Control Squadron at Robins Air Force Base, Ga., reviews E-8C Joint STARS (JSTARS) radar imagery Jan. 24, 2019, over the U.S. Army National Training Center on Fort Irwin, Calif. JSTARS, Joint Surveillance Target Attack Radar System, is a battle management and command and control aircraft capable of airborne ground surveillance. Capt. 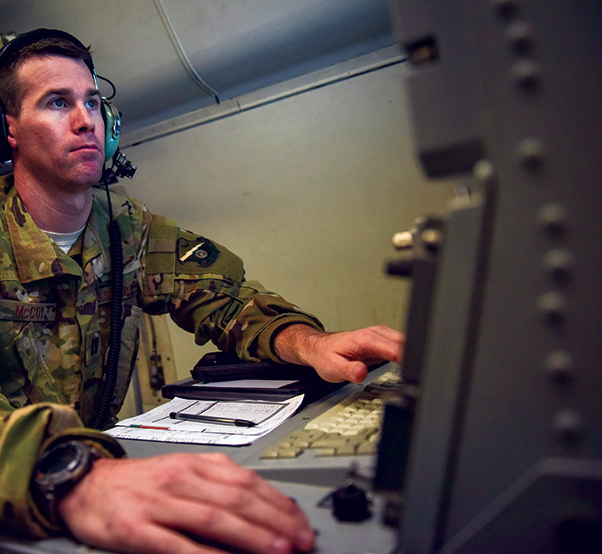 Andrew McCoy, an airborne operations technician assigned to the 16th Airborne Command and Control Squadron at Robins Air Force Base, Ga., reviews E-8C Joint STARS (JSTARS) radar imagery Jan. 24, 2019, over the U.S. Army National Training Center on Fort Irwin, Calif. JSTARS, Joint Surveillance Target Attack Radar System, use their radar system to gather intelligence for Air Force command centers and Army mobile ground stations through secure data links. Staff Sgt. 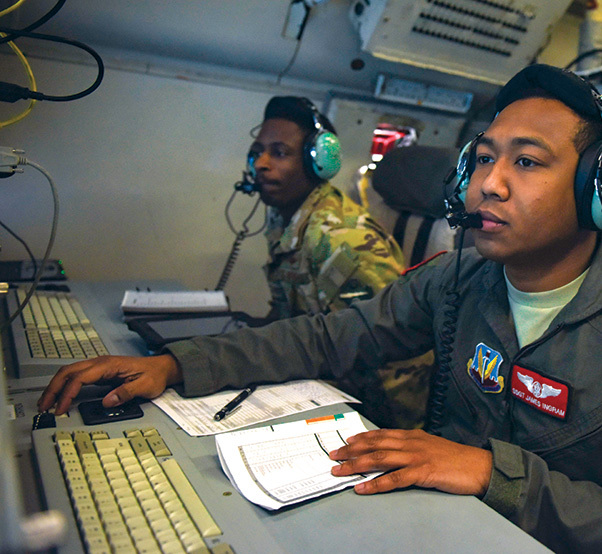 James Ingram, an airborne operations technician assigned to the 16th Airborne Command and Control Squadron at Robins Air Force Base, Ga., reviews E-8C Joint STARS (JSTARS) radar imagery Jan. 24, 2019, over the U.S. Army National Training Center on Fort Irwin, Calif. E-8C Joint STARS, Joint Surveillance Target Attack Radar System, aircraft provide all-weather radars to track potential threats for ground forces. E-8C Joint STARS (JSTARS) pilots assigned to the 16th Airborne Command and Control Squadron at Robins Air Force Base, Georgia, prepare to take off Jan. 24, 2019 at Nellis Air Force Base, Nevada. 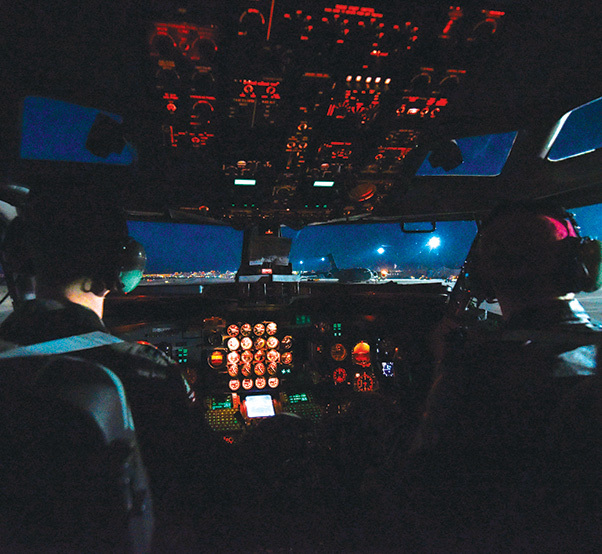 JSTARS, Joint Surveillance Target Attack Radar System, use their radar system to gather intelligence for Air Force command centers and Army mobile ground stations through secure data links.